The holidays are just around the corner, as well as BIG sale days Black Friday and Cyber Monday! 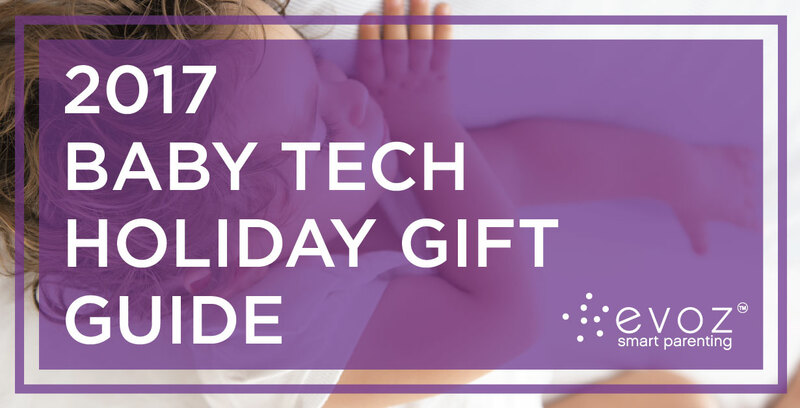 So of course we had to collect our favorite baby products and share them with you in our 2017 baby tech holiday gift guide! 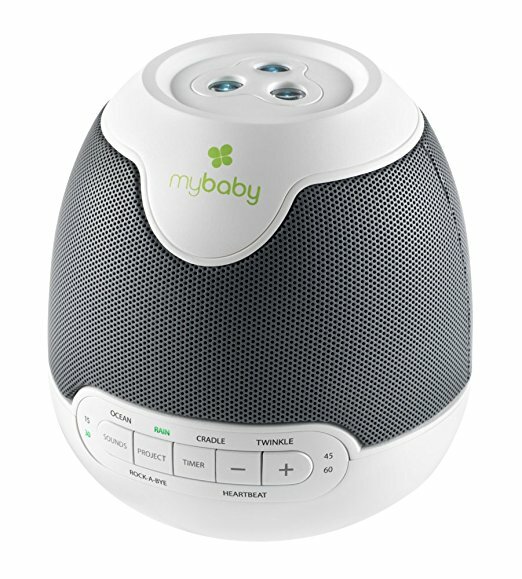 This sound machine from HoMedics includes 3 lullabies (Twinkle Twinkle Little Star, Rock-A-Bye Baby, and Brahm’s Cradle Song) as well as 3 soothing sounds (Heartbeat, Gentle Rain, and Ocean). To further help your child calmly fall asleep, this Soundspa also includes 3 image projection disks. Tilt the projector onto your nursery wall or ceiling to soothe your little one to sleep. This is a newborn must have! Ooly is a brand new toddler clock that just launched! Ooly connects to your phone or tablet via the Ooly app. 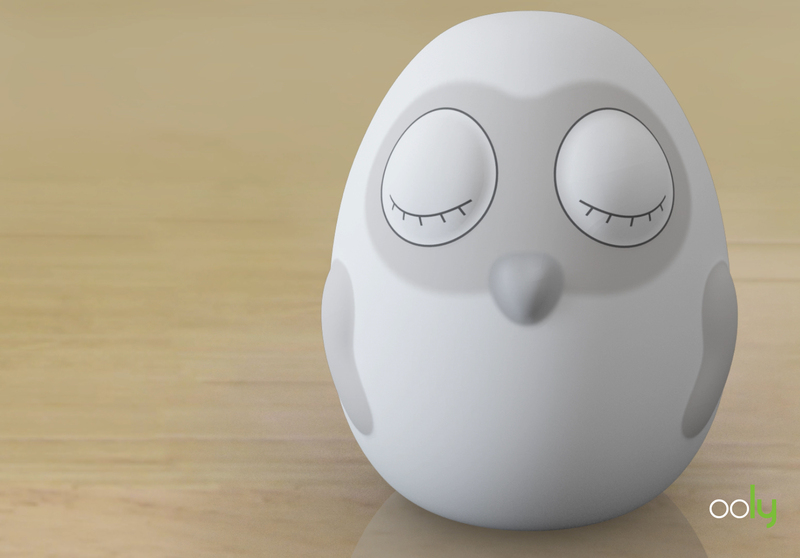 This darling Owl shaped clock helps your child visually understand when its time to wake up or go to bed by the color you select to make it glow. Ooly helps end early rising for children ages 2-8 years. If early rising is a sleep struggle for your child, also check out these great early rising tips for toddlers from our resident sleep expert Kim West LCSW-C, The Sleep Lady®. This is a must have for any parent interested in making their baby’s first foods, from 6 months to toddlers. Steam veggies and proteins within just a few minutes as well as blend and puree right within the same container. With its simple hand control you can choose to blend to a super smooth puree or more chunky texture for an older baby. 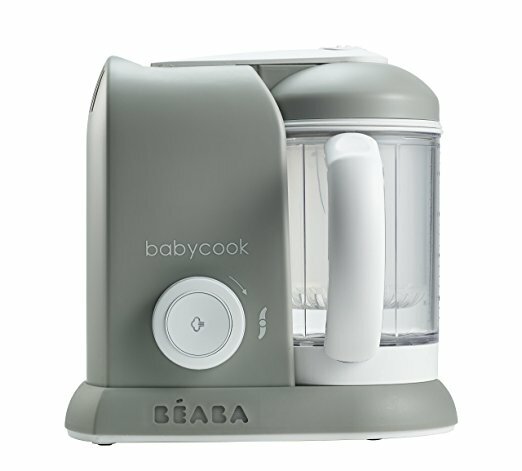 The Babycook is easy to use and clean up is a breeze. It’s also dishwasher safe as well as BPA, Lead and Phtalate free. 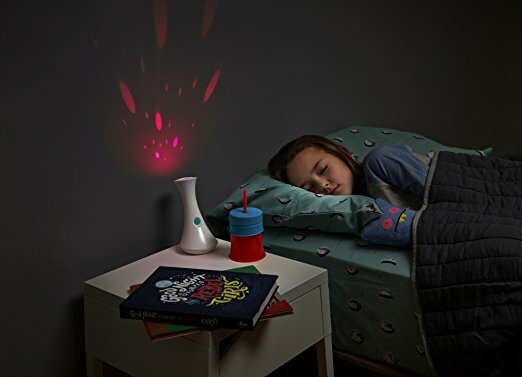 Us as a nightlight or flashlight — this modern, fun design is perfect for little ones who are afraid of the dark. A wireless charging base means you can place it anywhere, or use it on the go. And the projection mode will showcase a soothing light show in all the colors of the rainbow. 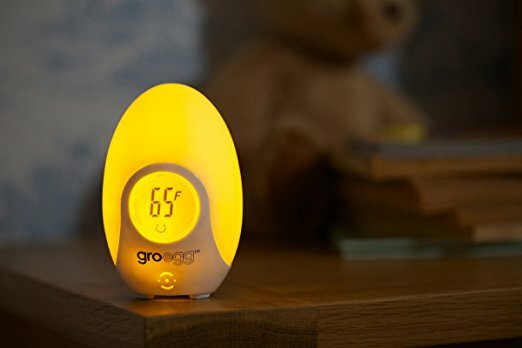 This digital room thermometer doubles as a soft glowing nightlight! The American Academy of Pediatrics recommends a comfortable room temperature for your baby. This thermometer will help you visually see if your child’s space is in a comfortable zone. From glowing blue for a comfortable temperature, to yellow then orange, and finally to red to signal it’s getting to be too warm, this darling thermometer will help you maintain a comfortable nursery with just a quick glance. For babies 0-6 months or children 6 months to 6 years, our resident sleep expert Kim West LCSW-C The Sleep Lady® has an online course available for you. In these step-by-step courses, Kim guides you through her gentle sleep coaching methods for children old enough to start sleep training. Or, for your new baby learn good sleep habits from the beginning. Choose the right monthly membership level and learn at your own pace, on your own time. 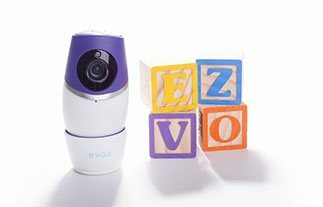 This baby tech holiday gift guide wouldn’t be complete without our newest arrival, the Evoz Vision WiFi Baby Monitor. 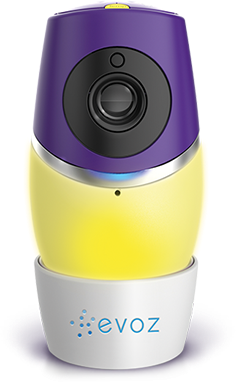 With unlimited range, our patented cry detection alerts, and secure connection to your iOS and Android devices this is THE baby monitor for you. 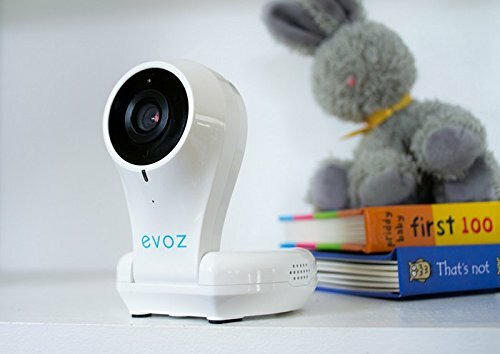 You’ll never have to miss a moment now that you can stay connected to your baby from virtually anywhere. Evoz Baby is our complete parenting app with baby data tracking and age-related sleep content from Kim West LCSW-C, The Sleep Lady®.